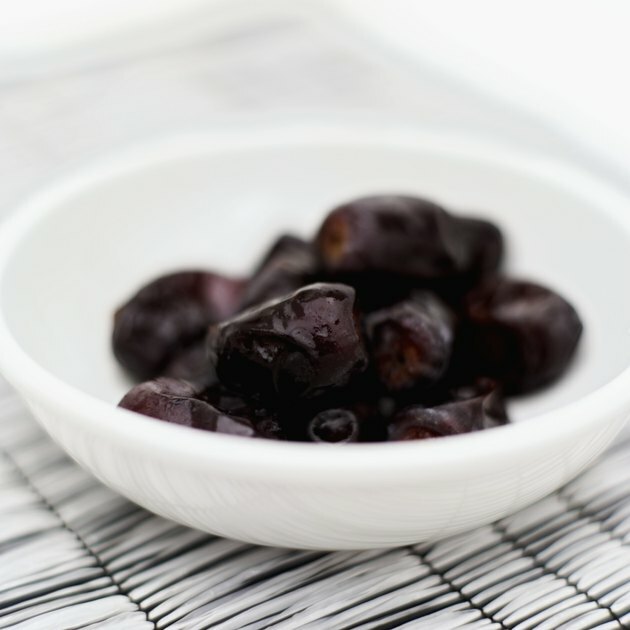 Prunes are an excellent source of dietary fiber, which can prevent constipation and help reduce high blood cholesterol. Because prunes are high in calories, though, they are not ideal for weight loss. Fortunately, you can still add them, in moderation, to an effective weight-loss meal plan if you're able to reduce your overall daily caloric intake. Weight-loss caloric needs vary widely, depending upon your age, gender, activity level and usual caloric intake. Unless you're under medical supervision, aim to lose 1 to 2 pounds weekly by reducing your current intake by 500 to 1,000 calories daily, suggest the Centers for Disease Control and Prevention. For many adults, 1,200 to 1,600 calories per day is appropriate for weight loss, notes the National Heart, Lung and Blood Institute. Although prunes are high in calories, you can still add them to a weight-loss meal plan if your portion is small. One prune contains about 23 calories, states the U.S. Department of Agriculture, and a 1/2-cup portion of pitted prunes provides about 209 calories. In comparison, sliced strawberries and cantaloupe each contain only 27 calories in a 1/2-cup portion. The publication "Dietary Guidelines for Americans, 2010" suggests that you eat a 1-cup equivalent from the fruits group every day when you are following a 1,200-calorie-a-day plan and consuming a 1.5-cup portion from the fruits group, when following a 1,600-calorie meal plan. A 1/2 cup portion of prunes is equivalent to a 1-cup portion from the fruits group, notes ChooseMyPlate.gov. Therefore, eating 1/2 cup of prunes fills your daily fruit allotment, when following a 1,200-calorie, weight-loss meal plan. Although the fiber in prunes helps fill you up, protein increases satiety more than carbs, and fat increases energy expenditure, notes a 2008 review published in the "American Journal of Clinical Nutrition." It's beneficial, therefore, to eat a lean, protein-rich food, such as egg whites, low-fat cottage cheese, low-fat, plain Greek yogurt, fat-free milk, seitan or skinless, grilled chicken breast, with your small portion of prunes to help control your overall caloric intake when trying to lose weight.